I enlisted in the U.S. Air Force. My choice was based on silly notions of what it would be like. I was given a job that the recruiter “sold” me, and since he was such a good salesman and I was excited to leave, I signed on the dotted line. My first time really away from home, and on an airplane. 6 weeks of basic training in San Antonio Texas, almost 2 years of technical school in Illinois, and I found myself stationed just 140 miles from the town that I grew up in. As a member of the military, we had our own community. The towns that housed the bases were different too, and part of that community. But “going home” only meant that we took off our uniforms and tried to blend in with our families and friends when we went to visit. No hoopla, no shaking hands, no “thanks for your service” on the lips of strangers. It was peacetime, and the thought of real war was far from even our own minds back then. The cold war was winding down, the end of that decade would see the fall of the Berlin Wall . (9 November 1989 ) The day to day training and alerts and weapons were for “just in case” and we really couldn’t think that war or armed conflict would really occur. I remember being in basic training, one of the instructors came in and told us the U.S. had gone to war. We were sheltered and given only the news and info they wanted us to have, so we couldn’t know if this was true or not. The fact that I still remember that detail from long ago emphasizes what an impact that sentence and the ensuing discussion had on me. I served my 4 years as an enlistee in the United States Air Force. I was given an honorable discharge, having reached the rank of Sargent during my tenure. I was trained as a weather equipment specialist, an electronics career that I never perused when I left the military. The lessons I learned, both as an enlisted female in a mans world, and as a member of the military will never leave me. When I was discharged from the Air Force, I didn’t really leave the military community. I spent the next 8 years as the wife of a military man. Part II of this story will continue tomorrow, on Veterans Day, 11.11.11. 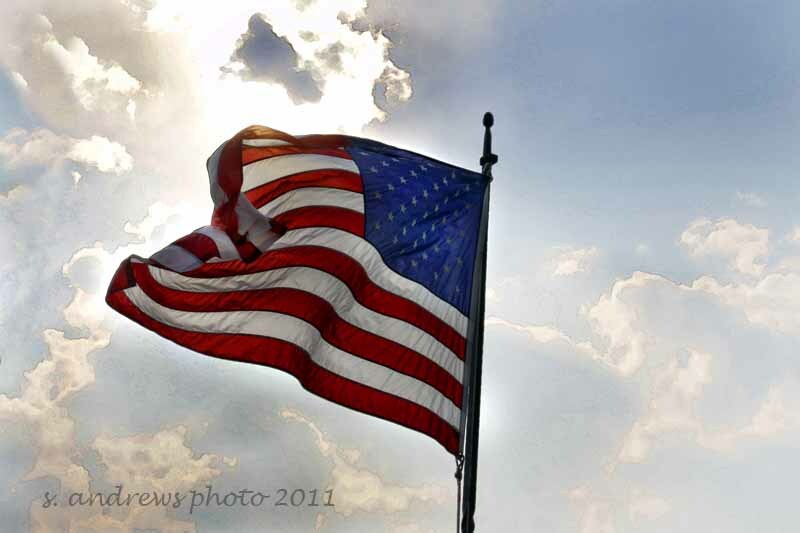 The American Flag that flies over this free country of ours. This photo was taken over Timberline Lodge on Mt. Hood on a sunny Saturday afternoon. 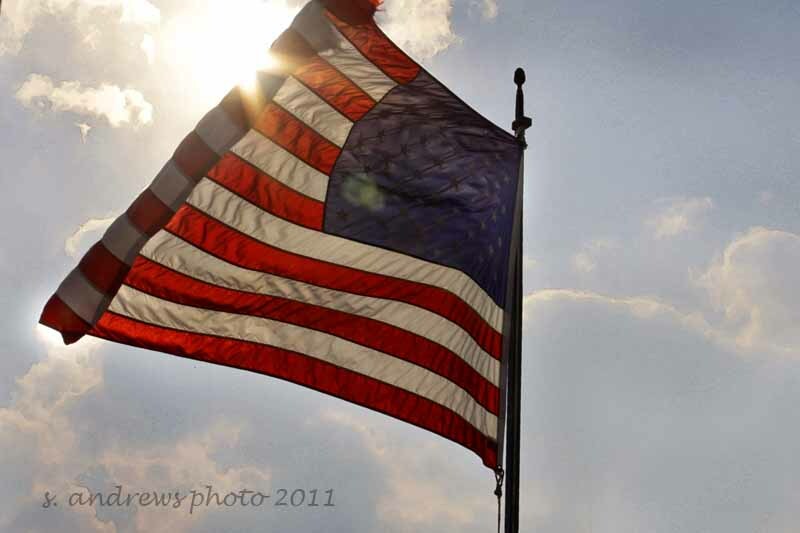 This entry was posted in photography and tagged american flag, old glory, photography, Timberline Lodge, US Air Force, USAF, veteran, veterans day.